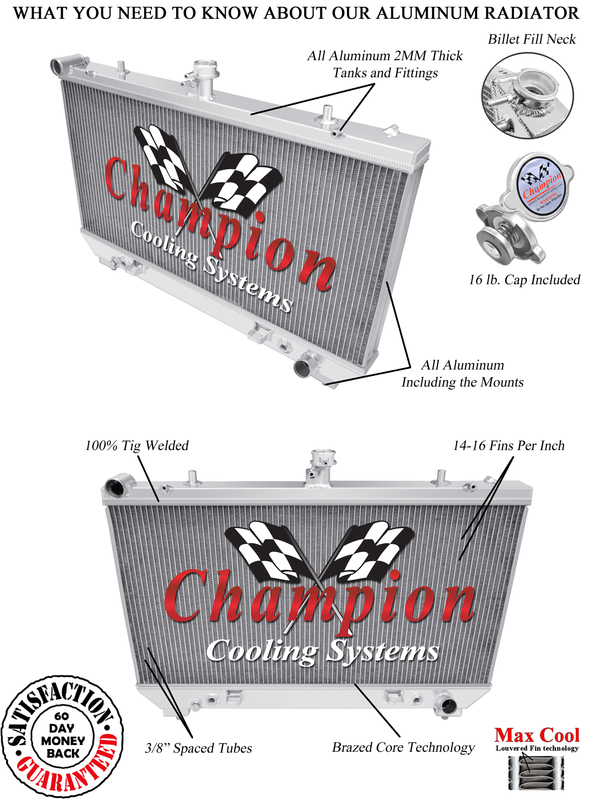 Click the button below to add the 2010 2011 Chevrolet Camaro Champion 4 Row All Aluminum Radiator to your wish list. http://stores.shop.ebay.com/PERFORMANCE-COOLING For 2010-2011 Chevy Camaro6.2L/376ci V8 Will Cool Up To 850hp You will not find a better guarantee anywhere on eBay! Overall Dimensions: 23 1/4" high x 30 1/2"
Upper inlet: 1 3/8" located on drivers side. Lower outlet: 1 3/8" located on passenger side.